Manufactured in sizes not covered by the Pipestoppers® range of Aluminium Plugs, Steel PlugFast™ Peripheral Sealing Plugs are available from 17 to 96” ø (432 to 2,400 mm). Special diameters can be produced on request. 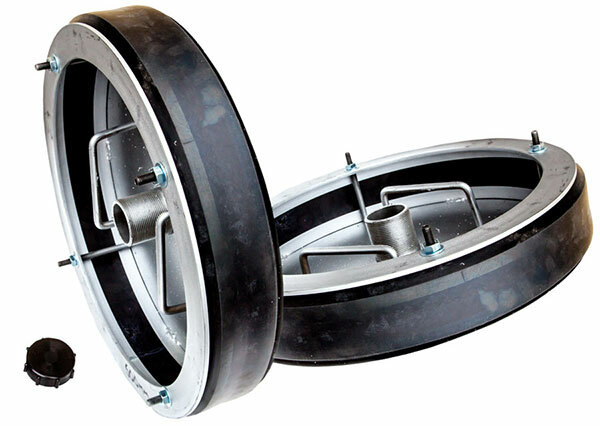 These strong, robust plugs are available in a single port or double port option, depending on the application. 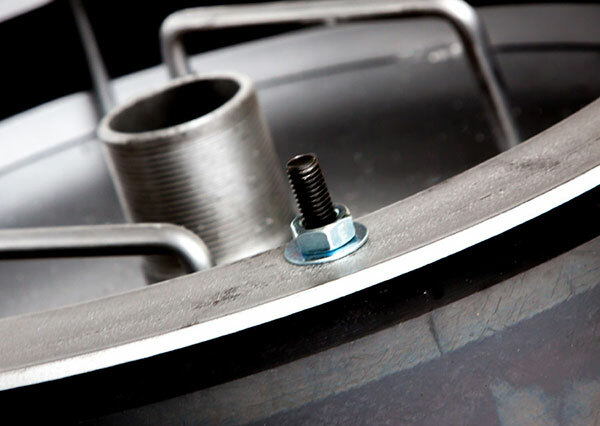 Peripheral sealing allows the plates to be closed with ease. The centre stem is 2” (50 mm ø) and the twin port plugs are fitted with a 4” (100 mm) plain bore. The port is offset to the outer edge of the plug, allowing the liquid inside the pipe to be easily drained after testing, without having to remove the plug.